Oh wow – what a sublime little tune this is. 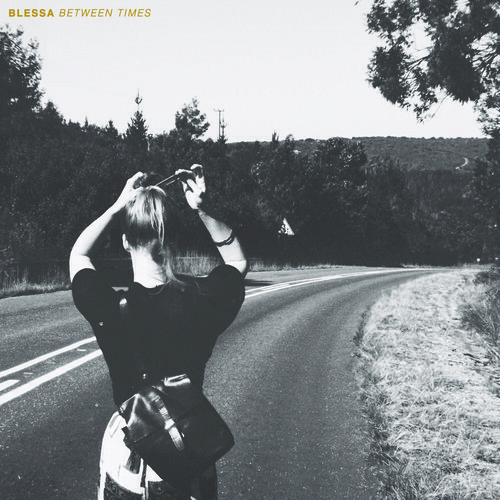 Female-fronted Sheffield five-piece Blessa will be releasing their debut single, “Between Times”, next month through new London record label, No Self Records. Blessa formed through a long standing friendship between Olivia (vocals) and Alex (guitar) who, while studying English Literature in the Steel City, began to take influence by prose, poetry and the physical world around them rather than by their musical contemporaries. Catching wind of the quintet’s magnetism early was The Guardian who featured Blessa in the ‘New Band Up North’ section of The Nothernener blog back in March this year. Recorded, mixed and produced by MJ of Leeds psych band Hookworms, “Between Times” is essentially a beautifully melodic and nostalgic C-86 inspired pop tune. The band’s jangly, dreamy guitar-pop is a delicious concoction of what would be Lush with the sweet floating melodies of The Sundays while exuding a similar joyful but bittersweet feeling like that of The Cure’s “Friday I’m In Love”. Lyrically Blessa draws references from the New York School poets such as Frank O’Hara and John Ashbery, and taking musical inspiration from the binaries of darkness/light and open/closed spaces, they set on forging a new Sheffield sound with the now completed line up of Andy (drums), Rob (guitar) and Jake (bass). “Between Times” questions the insincerity of typical representations of love and loss in modern day pop music. B-side “Bloom” is moodier, more subdued and less dynamic than the a-side but again showcases the band’s obvious knack for melody. Yep, the b-side too is riddled with melodies both vocally and musically. A stunning debut single – here’s hoping for more…and soon. ‘Between Times’ will be released on 11 November 2013.